THE HEALMOBILE is a healing vehicle for Baby Boomers and activists whose visions are still to be realized; yet they KNOW their journey to transformation is manifesting NOW. 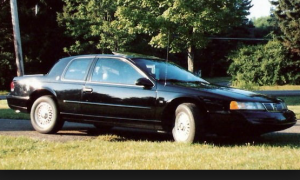 ’95 Cougar. My late father’s HealMobile! The HealMobile (heel-mo-beel’) uses Essential Oils, Reiki, EFT (Tapping) and Aroma Freedom Technique to harmonize the body-mind-spirit and uplift emotions through one-on-one and group sessions. The result of my working with you is — You Can Become A Magnetic Personality Who Keeps Attracting More, Better and The Best Life Has In Store For You. Full disclosure: I, Niamo Nancy Muid, am the HealMobile, and I believe everyone has the innate capacity to heal their lives and realize their dreams. 2) to increase your “self-healing power” by teaching you how to increase your vibrational frequency for optimum health and generate or expand your genius so you can fully embrace and live your vision. I will prove you too are a HealMobile. HealMobile coaching is for leaders, and my personal coaching can guide leaders to new choices that did not seem apparent from their challenged perspective. I have an online support system for improving the effectiveness of group leaders, entrepreneurs, online marketers, and holistic health practitioners. Take advantage of the freebies of this system while you can. Ylang-ylang blooms. The aromatic flower is known for its balancing effect on yin-yang energies. 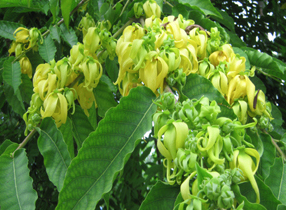 The essential oil of ylang ylang is divine scent; truly heaven sent. As The HealMobile “driver,” I bring you a personalized bodywork agenda. 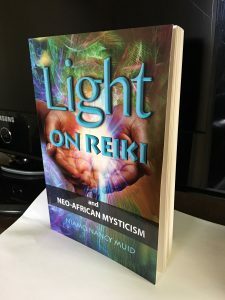 Scriptures inspire my approach, along with the spiritual wisdom of the Kongolese based on the book, Self-Healing Power and Therapy, by Dr. Bunseki Fu-Kiau. I am an ordained minister-practitioner and Reiki teacher (and former college administrator and instructor) fully capable of helping you to reach your health and lifestyle goals. Read more about me here. I INVITE YOU TO THE SANCTUARY in Union, NJ, where I use my First Eye intuition and assessment techniques in the Japanese, Chinese, Tibetan, Christian, Islamic, Kemetian and West African traditions to address your issue. Effective prayer, guided meditation and breath work, hand/bodywork, womb movement, metaphysical reading and energy healing techniques are called into service, as needed. All HealMobile services build self-healing power and therefore immunity, as proven by science. 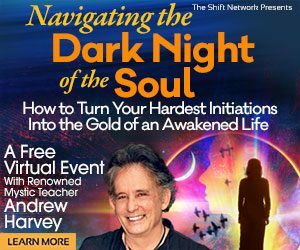 While muscle testing techniques reveal the body’s preferences for supportive supplements, foods and essential oils, tapping (Emotional Freedom Technique) and Aroma Freedom Technique may be your choice to address deep-seated blockages affecting emotional and physical health. I also get clues about your physical health using the premier foot detox system, the Phoenix Foot Bath. This is a fast and non-invasive way of stimulating and balancing the bioenergetic fields of the body and improving organ function and auto-detoxification “naturally” through the feet, like sweating. A second method and service that also starts with the feet is the Chakra-Aura Cleansing technique known as Raindrop(tm). It results in realignment of the auric body and the release of bacteria from the vertabrae. It has roots in a Lakota Sioux pilgrimage tradition, undertaken annually to re-balance and reinvigorate the people’s health. *PLEASE NOTE: The HealMobile’s services and information are not offered to replace medical or psychological help. We do not prescribe medication and cannot diagnose the proper caring for or cure of any disease. See your doctor or mental health professional for long-standing conditions, and do share your interest in exploring the self-care techniques mentioned on this website with him or her.